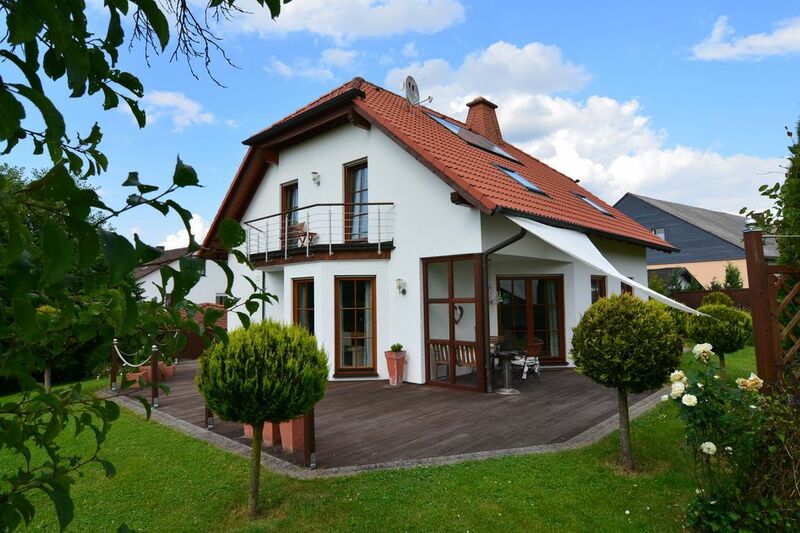 This detached holiday house located in the Hesse region offers everything you could want. The comfortable and modern interior design creates a pleasant indoor environment. The garden and the large terrace are also inviting spots to enjoy those sunny days, while the private spa area is another option for relaxation. The Ederbergland holiday region is in central Germany, on the edge of the Sauerland region and bordering the Kellerwald-Edersee National Park. There are lots of options for daytrips in the greater area. Historic city centres, the Eder River, the university city of Marburg, the spa town of Bad Waldeck, beautiful Edersee lake with Waldeck Castle, and much more. Winter sport fans will be glad to know that from Ederbergland the ski destinations of Winterberg and Willingen are within quick reach. Willersdorf is part of the municipality of Frankenberg (Eder) in Hesse's Waldeck-Frankenberg district. The town is situated at the edge of the Burgwald forest. The highest mountain in the Burgwald, Knebelsrod (443 m), is just a 15-minute walk away. With all it has to offer, this house is the perfect setting for an enjoyable holiday.